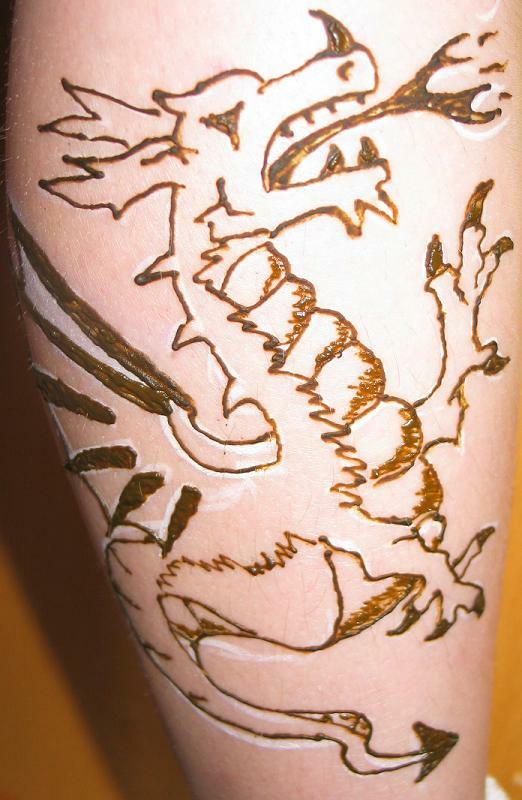 I offer both traditional and modern styles of henna designs. Natural henna has been used by many civilizations for over 7000 years. Traditionally, henna was applied for special occasions such as marriages, births, and for certain religious occasions. Henna is now used at any time. Natural henna is a greenish brown paste made of plant matter, lemon juice, and essential oils (like lavender or tea tree oil). Henna is put on the skin and allowed to stay on for several hours. When removed, it creates a reddish-brown stain that will easily last 7 to 10 days (and can last up to three weeks, depending on your skin type). WARNING: Henna is NOT black. If you ever see someone using black henna, do NOT allow it to be put on your skin. Black henna contains PPD (an ingredient found in hair dye) and can cause serious burns. Any henna photos on this site appearing black are while the paste is still on the skin.